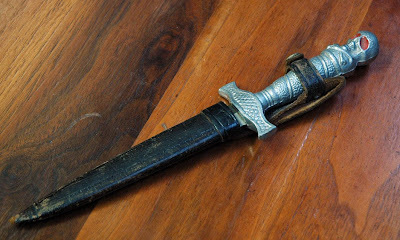 If it were not for parents and school principals, I would have carried a dagger like this every day of my grade school life. 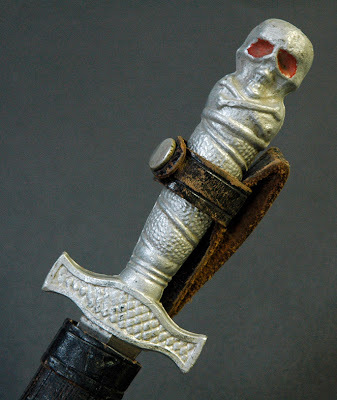 With the free wheeling latitude that adults enjoyed in the 1970's, I could not imagine why any grown-up wouldn't have a skull dagger tucked in their boot to carve apples, impress girls and stab marauding pirates. Of course, the buttoned-down new millennium frowns on such weapons, even if they are sinister only in a comic book way.